Reg completed his Bachelor of Physiotherapy at the University of South Australia. Since finishing he has worked in both private practice and aged care settings. 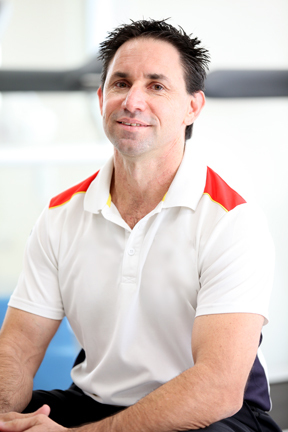 He has completed courses in Pilates and dry needling, always keen to broaden his skills. Reg is a member of the Australian Physiotherapy Association and is enthused about injury prevention, treating sports injuries, returning workers back to the workplace and improving the quality of life for all his clients. Reg likes the hands on treatment approach, plus exercise rehabilitation with a focus on the combination of the client’s expectations and the best researched evidence to achieve the best possible outcome.